PEMD Conference (the 9th International Conference on Power Electronics, Machines and Drives) was held at the superb ACC Liverpool in April, 17-19, 2018. Hundreds of power electronics, machines and drives specialists from around the world were brought together to deliver the latest developments in the technologies and applications of electrical drives, machines and power electronic systems. 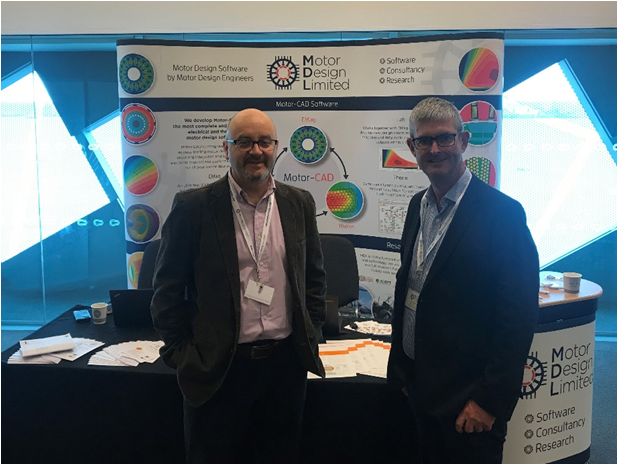 Motor Design Ltd (MDL) was part of the 15 exhibitors to promote its class-leading motor design software Motor-CAD. That was a great opportunity to introduce the ReFreeDrive project in which MDL has been deeply involved since October, 2017. 100 leaflets were printed and distributed for the occasion.